IN SANSKRIT three distinct words are used: Atma which means the soul or a soul, an individual, a person; Mahatma, a high soul, an illuminated being, a spiritual personality; paramatma, the divine man, the self-realized person, the Godconscious soul. As you have read in the Gayan 5a, 'If you only explore him, there is a lot in man' 5, so man – taken as every man – has in the spiritual spheres a very wide scope of development, a scope of development that an ordinary mind cannot imagine. The term 'divine man' has always been connected with man, and very few realize that it means Godman. The reason is that certain religiously inclined people have separated so much from God that they have filled the gap between man and God with what they call religion, a faith that stands for ever as a dividing wall between God and man. To man all sins are attributed, and to God all purity. It is a good idea – but far from truth. Now as to the first word that I have used, Atma, which means man: mankind can be divided into three principal categories. In one category man is the animal man; in another he can be the devil man, and in the third he can be the human man. A Hindustani poet has used two different words to distinguish this idea.. He says, 'There are many difficulties in life, for it is even difficult for man to be a person'. Then there is the human man, in whom sentiment is developed. Perhaps according to the physician's idea he may not be the normal person, but from the point of view of the mystic a person who has balance between thought and sentiment, who is awakened to the feeling of another, who is conscientious about everything he does and the effect it produces upon others – that person is beginning to be a human person. In other words, even for man to be a man is not an easy thing. Sometimes it takes a lifetime. There are three categories of Mahatmas. One Mahatma is busy struggling with himself and struggling with conditions before him and around him. One may ask, 'Why this struggle?' The answer is that there is always a conflict between the person who wishes to go upwards and the wind that blows him downwards. The wind that blows a person downwards is continually felt. It is felt at every moment by the person who takes a step on the path of progress. It is a conflict with the self, it is a conflict with others, it is a conflict with conditions – conflicts that come from all around, till every bit of that Mahatma is tested and tried, till every bit of his patience is exhausted and his ego is ground. A hard rock is turned into a soft paste – then appears the personality of a Mahatma. As a soldier in the war has so many wounds, and still more impressions which remain in his heart as wounds, such is the condition of this warrior who goes on the spiritual path. Everything stands against him: his friends, who may not know it, his foes, conditions, the atmosphere, the self. And therefore the wounds that he has to experience through this struggle, and the impressions that he receives through it, make him a spiritual personality, a personality which becomes an influence, a power, a personality which is difficult to resist, which is overwhelming. When that something which through the winds and storms endures and through the rise and fall stands firm – when that love is created – then a person's language becomes different; the world cannot understand it. Once love has reached the Sovereign of love, it is like the water of the sea that has risen as vapor, has formed clouds over the earth, and then pours down as rainfall. The continual outpouring of such a heart is unimaginable; not only human beings, but even birds and beasts must feel its influence, its effect. It is a love that cannot be put into words, a love that radiates, proving the warmth it has by its atmosphere. This resigned soul of the Mahatma may appear weak to someone who does not understand, for he takes praise and blame in the same way and he takes all that is given to him, favor or disfavor, pleasure or pain – all that comes – with resignation. For the third category of these high souls there is struggle on the one hand and resignation on the other, and this is a most difficult way of progress: to take one step forwards, and another step backwards, and so to go on. There is no mobility in the progress, because one thing is contrary to the other. On one side power is working, on the other side love; on one side kingliness, on the other side slavery. As the great Ghaznavi said in a Persian poem, 'I, as an emperor, have thousands of slaves ready at my call. But since love has kindled my heart, I have become the slave of slaves'. On the one hand activity, on the other hand passivity. 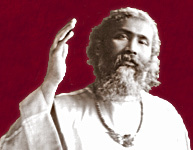 With the Paramatma we come to the third stage of the awakening of the consciousness, and the difference that it makes is this: an ordinary person, Atma, gives a greater importance to the world and a lesser importance to God; the illuminated person, Mahatma, gives a greater importance to God and a lesser importance to the world; but the third person, the Paramatma, gives and does not give importance to God or to the world. He is what he is. If you say, 'It is all true, he says, 'Yes, it is all true'. If you say, 'All is false and true', he says, 'Yes, it is all false and true'. If you say, 'Is it not true? ', he says, 'Yes, it is not true'. If you say, 'All is false and not true', he says, 'Yes, all is false and not true'. His language becomes gibberish, you can only be puzzled by it, for communication in language is better with someone who speaks your language. As soon as the other person's word has a different sense, his language is different; it is a language foreign to what you speak in your everyday life. The Paramatma's 'yes' may be 'no', his 'no' maybe 'yes': a word means nothing to him, it is the sense. And it is not that he has got the sense, he is the sense: he becomes that which the other man pursues. The Buddhistic term Nirvana means the stage where a person arrives at God-consciousness or all-consciousness. It is at this stage that a soul arrives. And why should not man have that privilege? If man has not that privilege, how can God have it? It is through man that God realizes His perfection. As man God becomes conscious of His Godship, and it is in this gradual progress – to begin as a soul and to arrive at that realization which makes that soul a divine soul – that lies the purpose of life. The whole creation is purposed to bring about that realization. It is that realization which is recognized by the name Rasul 5b. You may ask, 'if one soul has arrived at this realization, what is it to us?' But it is not the one: it is one and all at the same time. If one only explores him there is a lot in man. This is a most interesting version in English of the classical, originally Arabic verse-form muwashsha which has three lines in high literary rhetoric style and the final punch-line either in very popular speech, or even in another language. Thus several Arabic muwashshahat with a Spanish punch-line have been preserved of both Andalusian-Moorish and Sephardic provenance. 5a Gayan, or 'Notes from the Unstruck Music' – a book with poetry, aphorisms and prayers... see footnote 5.